Dr. Uwaydah Sighted In Beirut On Thursday Morning. He Was Photographed In A Café Talking On His Cell Phone. An adjustercom contact in Beirut happened to be in a taxi on Thursday morning, January 17th 2019, passing through the Hamra district in the heart and pulse of Beirut. That individual suddenly spotted Dr. Munir Uwaydah seated in a café near the American hospital. The photo grabs Uwaydah from a distance as it was hastily snapped. But it’s clear the subject is, indeed, Dr. Uwaydah in his ever-present pose of talking on his cell phone. From the remoteness of the Arab world, Uwaydah pastes his ear to his cell phone and runs his international criminal enterprise. 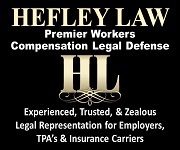 He continues to create new medical practices under new names and identification numbers to defraud the California workers’ compensation system. He also engages in any other fraud he can conjure up. Recently, in November 2018, Uwaydah’s brother-in-law, Janek Hunt, was arrested in Chicago and transferred within a few weeks to Riverside county. He now, while incarcerated, awaits the date of his closing arguments in his preliminary hearing, scheduled in the Murietta court for February 1, 2019. Janek Hunt was ostensibly running Blue Oak Medical Group. In the absence of Dr. Uwaydah in California, Hunt was acting as the heir apparent in egregiously overprescribing and overbilling for patients’ pharmaceuticals. Prescriptions were billed to workers’ compensation payers at five times, six times the quantities of the amounts testified to being received by the patients. The medications were odd and esoteric and never billed to workers’ compensation payers by other medical groups, according to workers’ compensation investigators. As Janek Hunt sits in jail in Murrieta Southwest Detention Center under a bail amount set at $2,664,007.00, Dr. Uwaydah works his phone in Beirut. How does he get his brother-in-law out of jail to the tune of 2.6 million dollars in bail? He’s been paying presumably millions of dollars to dozens of defense attorneys, in the Los Angeles case which had 15 defendants when it started in 2015, including the most powerful and moneyed defense lawyer, Benjamin Gluck. This has to be draining. For even the richest man on Earth, his purse is not bottomless. 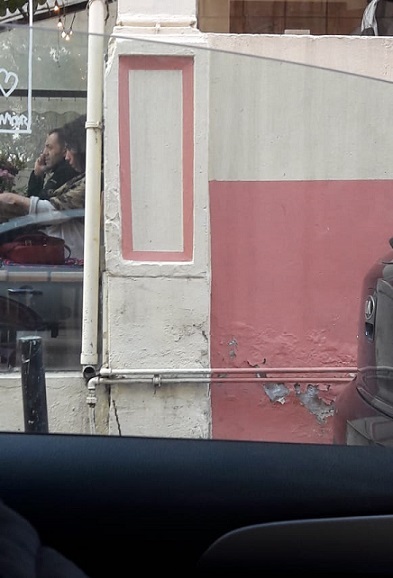 An adjustercom contact living in Beirut took this photo from inside a taxi while passing through the Hamra district near the American hospital in the heart of Beirut. This individual caught sight of Dr. Uwaydah inside the cafe at the upper left, seated, and talking on his cell phone on Thursday, January 17th. copyright Lonce Lamonte, all rights reserved. Dr. Uwaydah fled California and the U.S. in June of 2010. The catalyst that prompted his flight was the arrest of his associate, Kelly Soo Park, for the murder of his ex-girlfriend, Juliana Redding. Juliana’s father, Greg Redding, a pharmacist, had turned down Uwaydah’s job offer to work for Golden State Pharmaceuticals, a Uwaydah puppet, to make compound creams. Redding knew it would involve manufacturing on a large scale, which is not legal for pharmaceuticals without a specific license. Greg wasn’t comfortable and declined. Just a few weeks later, Greg Redding’s daughter, Juliana, an aspiring actress and model, was found dead in her Santa Monica residence. On the threshold of this murder case, the Los Angeles District Attorney’s office began its investigation into Uwaydah. Soon, Tim McCrillis became the DA lead investigator and dove into copious conversations and communications with workers’ compensation Special Investigations Unit investigators. The investigation seemingly went on and on and on. In June of 2013, Kelly Soo Park was acquitted by a Los Angeles jury in downtown of both first degree and second degree murder. In September of 2015, the Los Angeles DA’s office unsealed two indictments charging 15 defendants, including Dr. Uwaydah, of a multitude of counts pertaining to workers’ compensation insurance fraud. Kelly Soo Park leaves the criminal court house in downtown Los Angeles on May 23rd 2013, during her trial just twelve days before she was acquitted of the murder of aspiring actress Juliana Redding. photo by Lonce Lamonte, all rights reserved. A warrant was issued for Dr. Uwaydah’s arrest. He was believed to be in Germany. He has a passion for horse jumping competitions and owns a stud farm in Varste, Germany. Thus, a warrant was sent to what the LADA thought was the proper law enforcement district. The LADA put out a news announcement that Dr. Uwaydah had been arrested. This turned out to be false. The arrest warrant was, at first, sent to the wrong district, and second, Uwaydah caught wind of his impending arrest and slipped out of town and under a gate like a scared rabbit. Uwaydah’s ex-wife, German-born Julia Kauefler, told this writer in December 2016 that the officials in charge of the arrest tried to trick Uwaydah into meeting an old “associate” at some location. Then, their plan was that once Uwaydah had arrived, they could move in, surprise him, and arrest him. But Uwaydah got suspicious when this “associate” who to him was no real former associate at all, someone who’d never been of value to him, acted too eager to meet. Uwaydah got very suspicious and figured it out. He fled back to Lebanon ahead of the arrest plot. 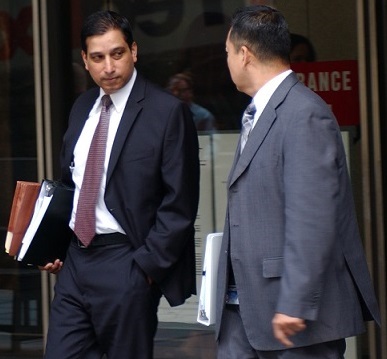 Lead prosecutor Dayan Mathai, left, and prosecutor Kennes Ma, right, leave the Los Angeles downtown criminal courthouse on April 8, 2016. They are two of the prosecutors on the indictment against Dr. Munir Uwaydah, who is a fugitive of the law. photo by Lonce Lamonte, all rights reserved. Unfortunately for the LADA and all of Uwaydah’s victims, Lebanon has no extradition treaty with the United States. But now, the arrest warrant still remains and is active throughout all of Interpol in Western Europe and some countries in Eastern Europe. Uwaydah can travel to most of the Arab world with impunity but he’s cut off from Europe and, of course, the United States. How to flush him out? That remains the salient question. Someday, Munir Uwaydah will get restless. Lebanon is a country of only 4,000 square miles. Los Angeles county is 4,750 square miles. Thus, Lebanon is smaller than even Los Angeles county. That’s definitely too small a turf for Dr. Uwaydah’s very inflated ego. He’ll get cabin fever. One day he’ll make the wrong move. Or press the wrong adversary too hard. Lonce Lamonte, journalist, lonce@adjustercom.com; copyright adjustercom and Lonce Lamonte. All rights reserved.